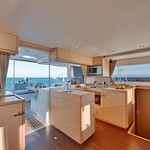 In 2015 has been produced yacht Lagoon 450 called Marmar. 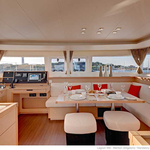 This yacht is available from base Athens in the region close to Athens in Greece. 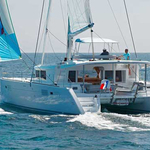 You can accommodate up to 10 pax on the sailing boat Marmar. Layout of berths is 10. 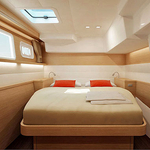 There are 6 bedrooms located under sailboat's deck. Marmar is equipped with 4 toilettes. 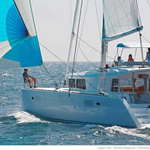 Use our search engine to find more boats over here: Catamarans Athens. In this yacht there is engine 54. 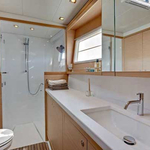 With 13.95 meters of lenght and 7.84 meters of width Marmar provides enough space for comfortable sailing. 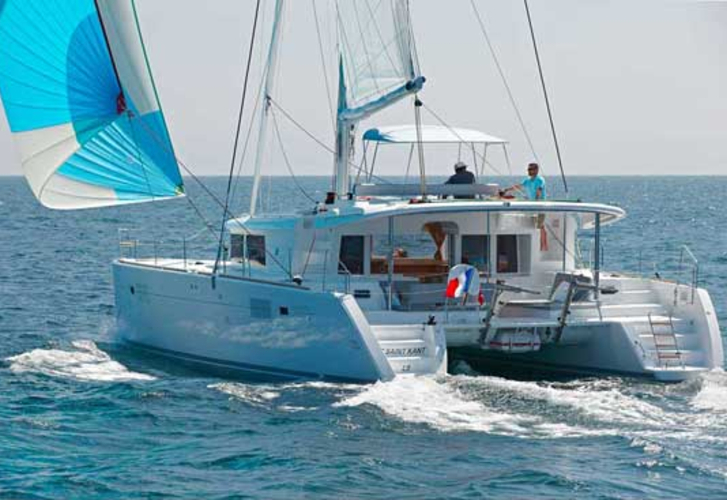 Lagoon 450 Marmar is equipped with: Air conditioning, TV, Dvd, Solar panels, Inverter 12v-220v, Autopilot, Outboard engine, Anchor electric windlass, Mainsail with lazy jack. . Security caution is at the level of 3500.00 EUR. 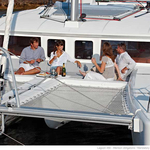 Read about more search results by clicking on this link: Catamarans Athens.